Hello ... Hello ... my old friends ... It's great to see you once again! 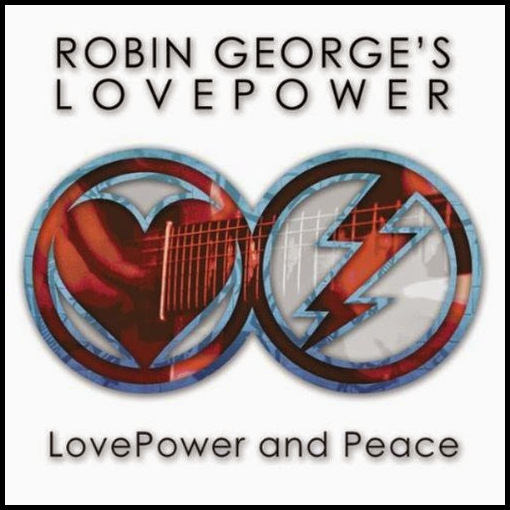 My good friend Pete Dicks - the producer, director, chief bottle washer and presenter of that excellent internet and AM/FM radio show Beatles and Beyond - has alerted me to a new charity album entitled "LovePower and Peace" which has just been released by Robin George's LovePower via Angel Air Records [#SJPCD357]. Robin is a former member of Roy Wood's Helicopters but what may also be of interest to ELO [and related artists] fans is that this new CD features supreme slide guitarist and former ELO Part II co-founding member Pete Haycock. We haven't seen much of Pete in the ELO universe since his departure in 1993 but I thought that his participation in this project was of note to those of us who appreciated his input on both record and stage with that original ELO Part II line-up. Thanks for that Keith - it's worth saying that BeatlesandBeyond also plays on RADIO too!